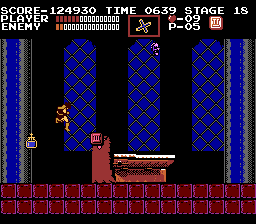 NES Castlevania (USA PRG1) in 11:43.13 by Phil & Genisto. This is Genisto's and Phil's joint effort at Castlevania - 26 seconds faster than the previous version by Bisqwit. Also features a higher final score. And standard optimizations such as not using stairs when jumping is possible.